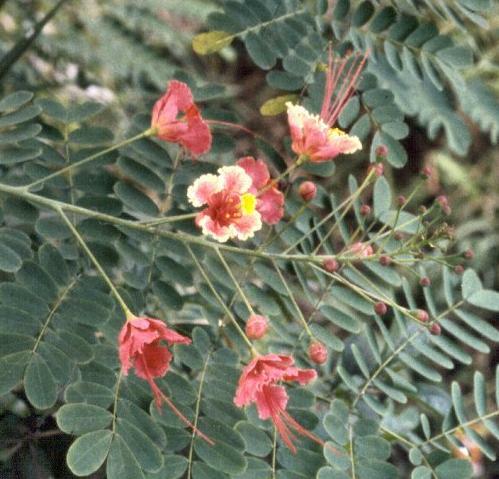 Barbados Pride is a beautiful ornamental shrub, grown in gardens throughout the tropics. It grows to a height of 6 metres. 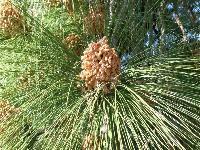 Its leaves are bipinnate, with up to 9 pairs of primary pinnae, each bearing up to 12 of obovate leaflets. The flowers are borne in conspicuous racemes and are very showy. 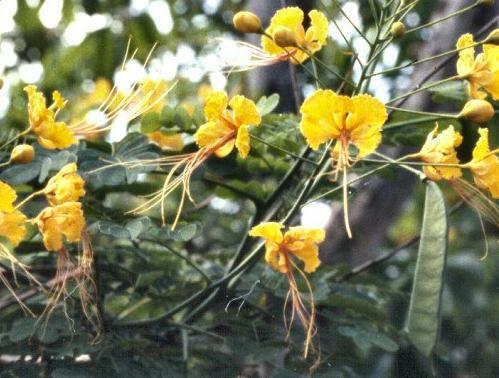 Each flower is on long a pedicel and is usually red and yellow, but may be plain red, or orange, or yellow. The stamens and style are very long giving the flowers a distinctive form. Pods are pendulous up to 12 cm long by 3 cm wide and turn brown when they are ripe. 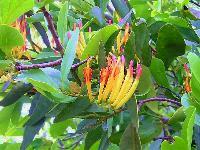 The flowers and leaves have been used to reduce fever and the leaves have purgative properties. 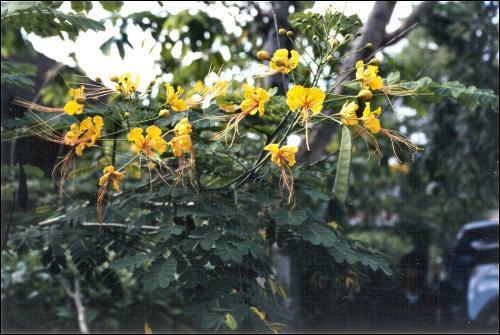 Barbados Pride originates in the West Indies, but is commonly planted as an ornamental in tropical regions, including northern Australia.